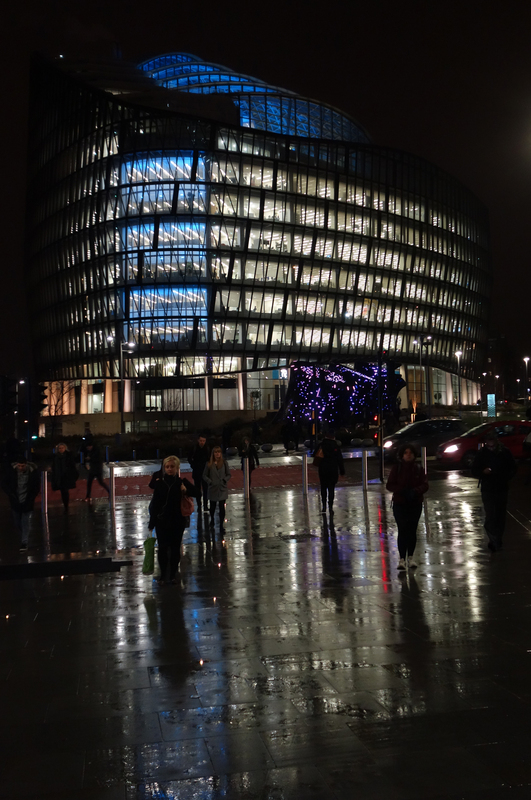 No reindeer on the Christmas photo this year, instead a shot of 1 Angel Square, the Co-operative Group’s HQ in Manchester, all seasonally lit up. Not posted much recently as knee-deep in archival notes for the co-operative architecture book, many taken at the National Co-operative Archive, just round the corner from Angel Square. Although it seems a long way hence, spring 2019 is actually not so far when thinking in research and writing terms. I look forward to the longer days of spring and summer when I can take more photos for the book, as well as staring at volumes of Co-operative News and the like! So a Merry Co-op Christmas to those who have chanced upon this page, and the happiest of New Years.